Project focuses on creating virtual architecture that could be used in film or video games industry. The idea was to design an interesting, slightly abstract and almost unreal place – very peaceful and a bit spiritual. All forms, landscape and lighting create special, unique atmosphere. Object is isolated, strongly attached to the rocky landscape and surrounded by water. General architectural form is very complex, which is additionally enhanced by its organic and futuristic appearance. It mostly consists of light, transparent planes that build the actual forms. They create multi-layered compositions with different levels of transparency. 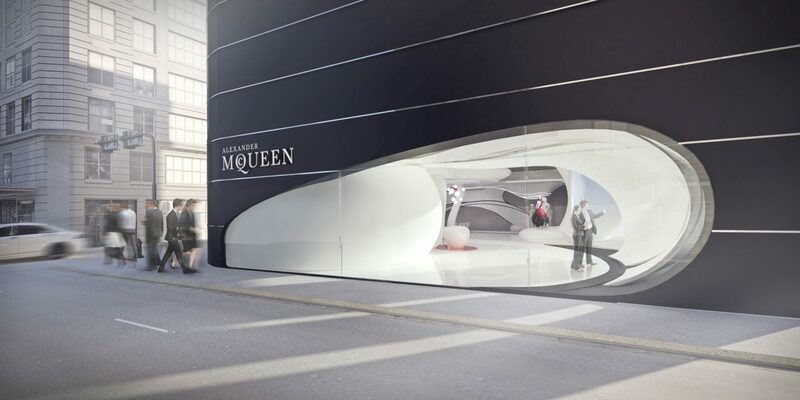 At some point they build the actual architectural object, seamlessly connected to the surrounding forms. Smooth, organic shapes lead the way to the inside. Main building, as well as the outside forms, has a complex inner structure – number of various corridors lead visitors to the inside. They create complicated passages that pull people in and give them a chance to get lost while exploring the interior. Each of the corridors has different size, length and its dimensions can change depending on situation. On the floor level, there is plenty of forms to sit or lay on – they are in different shapes and sizes, formed individually to match the specific interior. 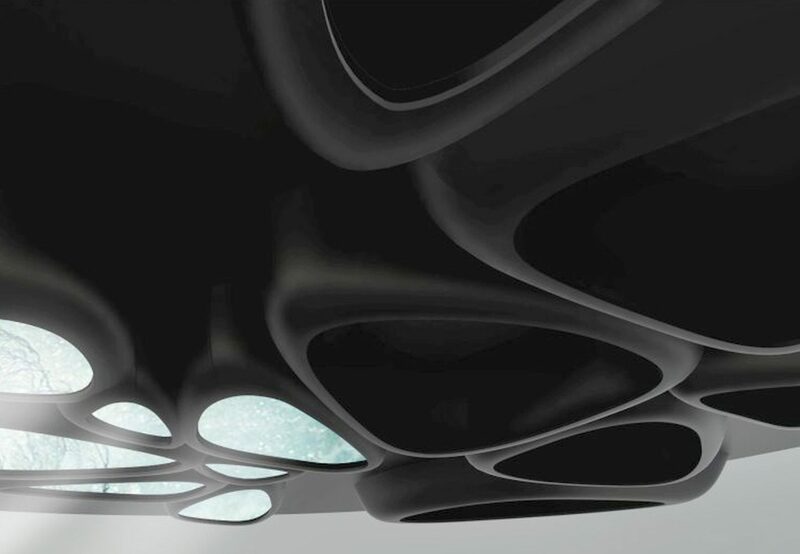 The dominant elements here are ceilings, shaped from elongated, dark forms. Space between them is filled with digital screens. They can display any image and simulate any special effect, creating convincing illusion above the visitors’ heads. This feeling can be intensified by using holograms or projections for full 3D experience and the visual illusion of parallel world. From the first moment the visitors approach the object, it was important they would become an integral part of it. Their presence could easily change its appearance. Depending on the person inside (their thoughts, mindset, physical actions), object could match them – by changing its structures, materials and their transparency, intensity and color of light, projections and screen display theme. Visitors should be able to feel this exceptional, unusual atmosphere, like they were in a place where everything is possible. The architecture was meant to be a living organism that can perfectly match each person. The end or the beginning of this virtual trip takes place in a big station, hidden inside the building. Here, organic shapes were contrasted with sharp planes of the actual platforms. Black, glossy form dominates in this space and its shape is also repeated by the bench-like seats for passengers waiting to get the next train. This space also uses holograms and projections – mostly by changing its colors and directions to let the passengers know about the train arrival time.